We take pleasure in inviting you to our first event for 2018, a garden picnic on the romantic and lavish grounds of the historical Melrose House in Pretoria. 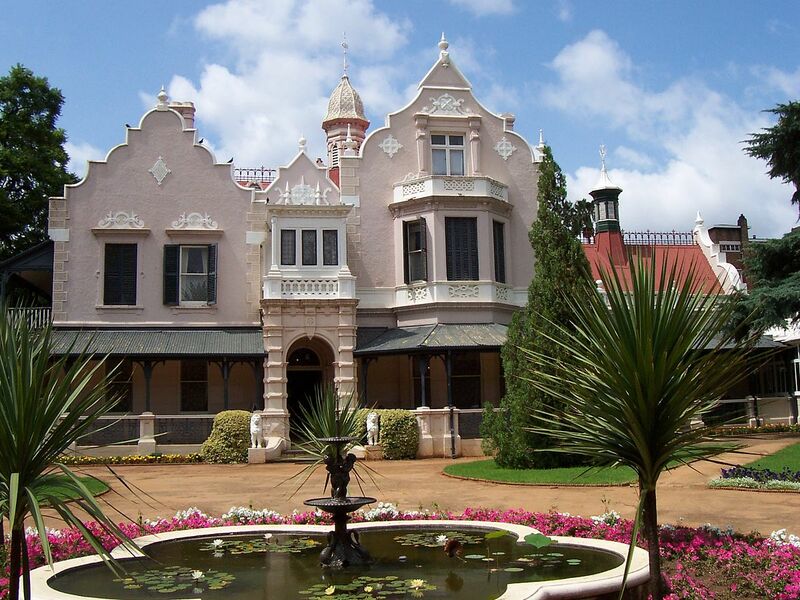 Built in 1886 by the prosperous Pretoria businessman George Jesse Heys. It was named after the famous Melrose Abbey in Scotland. Melrose House gained fame during the Second Boer War (1899–1902) when Lord Roberts requisitioned it as the headquarters for the British forces after Pretoria was invaded in June 1900. For more than 18 months, instructions for the British forces in the field were issued from here. The use of the house as a military headquarters ended when the Treaty of Vereeniging, which ended the war, was signed there on 31 May 1902. Today the elegant mansion is a historic house museum. It is an example of the transition from Victorian to Edwardian architectural styles and interiors. The interior is characterised by colourful stained glass windows, paintings by English artists, carpets in rich colours, ornate ceilings and fireplaces, as well as valuable porcelain ornaments. The majority of these items belonged to the Heys family itself. Notably the museum contains the room and the table on which the Treaty of Vereeniging (which ended the Second Boer War) was signed.